SUMMARY: Productivity Commission turns up heat on super, but finds little to complain about with SMSF sector. Further structural overhauling of superannuation looks certain after the Productivity Commission’s highly critical report on the industry’s efficiency. Some radical suggestions include only allowing one default fund per member for life and restricting default funds to a list of ten “best in show” top performers. But for those in self-managed super fund land, the news was largely good – our chosen retirement investment vehicles weren’t found so wanting that major change was recommended. However, there were plenty of reminders of some of the weaknesses of DIY funds. More on this below. These included giving the Australian Tax Office the power to clean up “lost” accounts and automatically consolidate lost funds, move to opt-in for insurance for the under-25s and ceasing insurance on accounts not receiving contributions. There were some seriously large and disturbing numbers in the report. One of those being that if a new job entrant entered employment and happened to choose poorly when it came to selecting a super fund, it could cost them $375,000 by the time they retire. The first recommendation was that when an employee first joins the workforce, they would need to choose a default fund, at the same time, essentially, that they apply for a tax file number with the ATO. The choices offered by the ATO on this form be restricted to a “best in show” selection of 10 funds (recommendation two), which would be selected by an expert panel every four years (recommendation three). Financial Services Minister Kelly O’Dwyer said the government would consider some of these major recommendations, but did not give them unqualified support. When it comes to SMSFS, there were no direct recommendations in the list of 22. But the PC did spend a reasonable amount of time investigating the sector and producing findings. 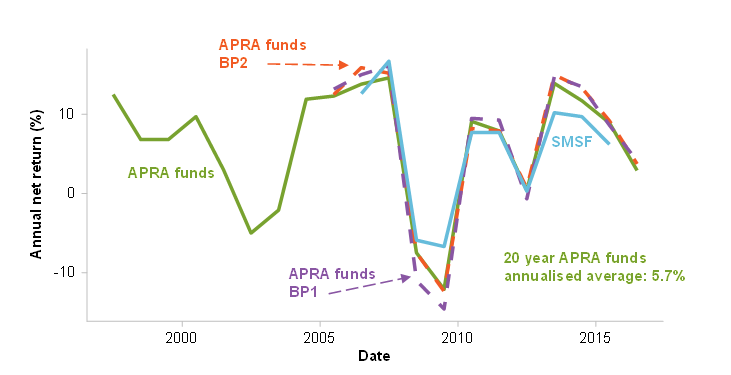 It found the performance of SMSFs has broadly tracked the performance of APRA-based funds. But the average costs for smaller funds was too high, with funds under $50,000 facing average cost ratios of more than 10%. 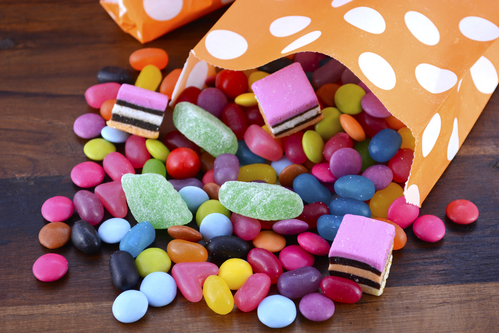 The take-up of limited recourse borrowing arrangements (LRBAs) by SMSFs do not, currently, present a “material system risk” to the superannuation system. Jeremy Cooper, in his Super System Review in 2010, was fearful that LRBAs could threaten the stability of the superannuation system if there was a widespread uptake of them. However, eight years later, the PC found a “relatively small number” of SMSFs had taken on LRBAs – only 7% of SMSFs had adopted the strategy, which represented only 4% of superannuation assets. There was no current risk that LRBAs posed a serious threat, though this should be monitored. In the decade to 2016, both SMSFs and APRA-regulated funds achieved net returns of about 5.6% a year, although smaller SMSFs, because of their higher relative fees, were significant underperformers. SMSFs were better performers before and during the GFC, but have not performed as well as APRA funds since. The PC didn’t make make findings for why SMSFs underperformed over that period, but it did note that SMSFs tend to be overweight Australian shares and underweight international shares and property and fixed interest assets – something I point out in my annual performance column each July. It also said that in the SMSF sector, the performance issues were divided into those below $1 million (which underperformed) and those over $1 million (which outperformed). The number of funds under $100,000 has also decreased in the last decade, from 35% to 23%. And, further, the number with balances less than $500,000 has also fallen by 18 percentage points. While costs for SMSFs have been rising (partly thanks to a change in the way the ATO counts the data), the average cost of running an APRA-based fund has been decreasing. For those with balances over $1m, the cost of running a SMSF is broadly comparable to an APRA-fund, the PC report said. And the higher net expenses of those smaller funds is the “primary cause of poor net returns experience by small SMSFs on average”. The PC seems to believe that the increase in SMSFs has been a significant competitive contributor to the overall costs of APRA funds reducing. But this is not necessarily because SMSFs are more financially literate. The PC noted one survey that said that SMSF owners had no better financial literacy than those APRA members who actively chose their super funds, but that 85% rated their skill as above average. The PC found that quality of advice being provided to SMSF by industry professionals (financial advisers and accountants) was questionable, based on surveys conducted throughout the industry. And this will become increasingly important for the growing SMSF army. About 15% of all members who exercise choice use that decision to enter into a SMSF. Importantly, the current regulation of SMSFs appears appropriate, according to the PC. It backed the findings of the Cooper Review and the Financial System Inquiry that SMSFs are generally well run and have a strong regulatory framework, as monitoring by the ATO. But the commission also backed calls for the use of LRBAs to be continually monitored “given the magnitude of recent increases (in LRBAs), coupled with taxpayers ultimately underwriting (in large part) any gross underperformance of SMSF through the age pension, ongoing monitoring … is clearly warranted to ensure that SMSF borrowing to fund investments does not have the potential to generate system risks in the future”.